Gnr. 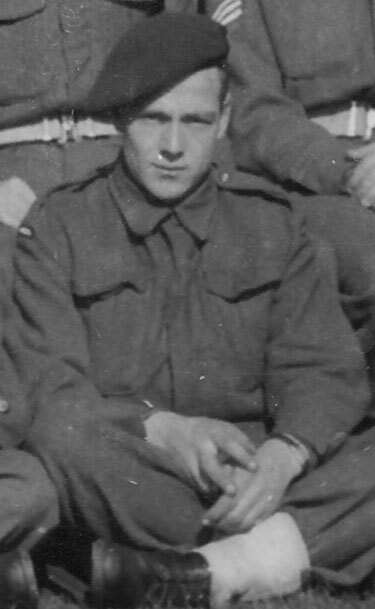 L. Branscombe, formerly of the Royal Artillery, served with No.4 Troop of No.6 Commando from, at least, October 1942. It is noted that he was captured in North Africa and was interned in Stalag XVIIA at Kaisersteinbruck bei bruck (Leitha), Austria, as Prisoner No. 153937. Stalag XV11A was a particularly brutal PoW camp, mainly for Russian PoWs, where prisoners where routinely used for slave labour and starved. Here over 9,500 Russian PoWs died from starvation and neglect.